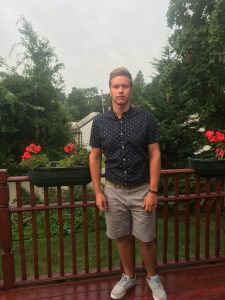 John Delaney currently is a senior at Fairfield University studying mechanical engineering. John started working at Smith Point in the summer of 2012. It was very clear early on that John, just like his father Tim, Smith Point Hall of Fame, became a successful landline puller in a short period of time. J.D. and his landline team made the USLA National Lifeguard Championship Landline final several times over the last six years. While in HS, John played soccer and lacrosse while maintaining high academic standards! Delaney’s diligence, kind nature, toughness, hard work and selfless attitude has paid off, thus making him the 2017 Smith Point Lifeguard of the Year! Patrick is going into his junior year at Lindenhurst High School. While swimming competitively, for both Lindenhurst Boys Varsity and Islander Aquatics, Konarski is able to maintain a 97 GPA. 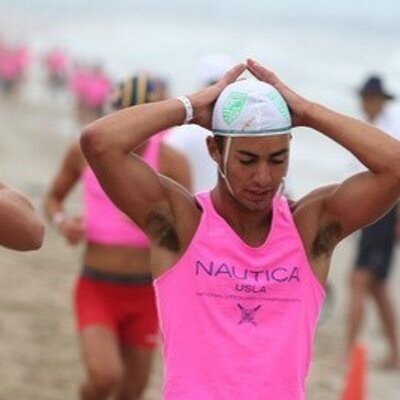 Patrick’s older brother Kevin (2015 National Landline Champion) was his role model and inspiration in joining the ranks of Smith Point Lifeguards. He hopes in the future to be as successful and driven as Kevin… So far Pat is doing very well! In the future Pat would like to study medicine and swim in college. Konarski is hardworking, focused, dedicated young individual that loves to compete, help others and assure that all patrons at Smith Point Beach will have a great day, every day. Congratulations John! Your dad is a great role model!